Virgin Media has responded to BT's latest broadband announcement by asking why consumers would want to wait for the service, rather than plump for its own super-fast broadband. BT made a point of comparing its new Infinity service, which will be rolled out to certain areas throughout 2010 to the Virgin flagship 50Mbps service in its release, saying its £19.99 package represents 'a saving of £7.47 per month on Virgin Media's XXL highest speed service'. Among the points made are that this £20 service comes with an 18-month contract, £50 connection fee and, crucially, is not an unlimited service – not really a like-for-like comparison. But it is the roll-out that most interests Virgin Media; BT's service is available in January to some locations, but the target of 10 million homes and businesses that will benefit may have to wait until mid 2012. A Virgin Media spokesperson said: "We're not sure why people in the UK would want to wait for BT's 40Mbps service which hasn't launched yet, when they can already get Virgin Media's great value 50Mbps service. "Last summer we completed the roll-out of our next generation service to 12.5 million homes and people throughout the country are already enjoying all the fantastic things you can do online with the UK's fastest broadband service. "We've been saying for years that fibre optic broadband is the future." BT's second Infinity product offers the 40Mbps download along with an impressive up-to-10Mbps upload speed and an unlimited data tag for £24.99. 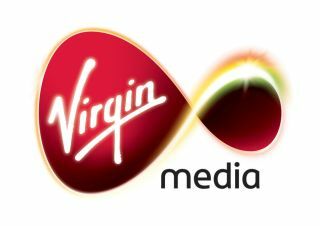 The Virgin Media spokesman also reiterated that the company is continuing with its trials of increased upload speeds and that it is looking to roll these out in due course, and that it is still testing a 200Mbps download speed service. It's no real surprise that Virgin would be pushing its own product on the back of a BT announcement, but when the latter's press release refers directly to the former's products you can't really blame the cable company for responding either.